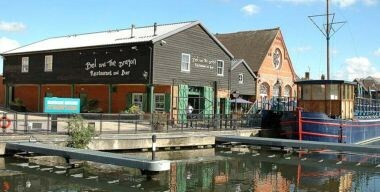 Formerly a Victorian pumping station, the Bel and The Dragon Reading sits on the waterfront of the Kennet and Avon Canal, just a stones throw from the centre of the town. 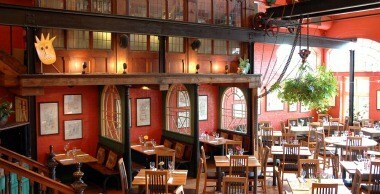 This unique building oozes character and has been lovingly restored to house Bel and The Dragons atmospheric restaurant and bar. 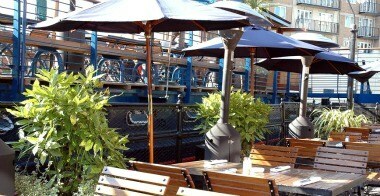 Outside seating on our terrace or authentic barge takes full advantage of our canal side setting. 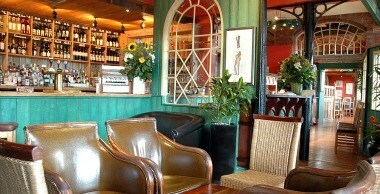 We can arrange private dining at Bel and The Dragon for weddings, special occasions or corporate events for up to 130 guests.